The Bachelor’s Jason and Molly Mesnick engaged in New Zealand 2009. We’ve gone out of our way to create packages offering the best of the best to see, do and experience in these picturesque South Pacific islands. Down Under Answers (DUA) Travel has just launched a selection of super special holiday packages and a Facebook competition to lure American travelers to the “Land of the Long White Cloud”, New Zealand. To enter Like Down Under Answers Facebook page, fill out the entry form, answer the questions posted between now and March 23, 2012. U.S. residents over 18 are eligible to participate. Round-trip coach class airfare on Air New Zealand from Los Angeles to Auckland, Rotorua and Queenstown. Round-trip transfers in each city. Down Under Answers Sales Director Jason Mesnick says there’s no better time to experience the breathtaking beauty, heritage and culture of New Zealand and getting there is easy on the innovative and award-winning Air New Zealand. “We’ve gone out of our way to create packages offering the best of the best to see, do and experience in these picturesque South Pacific islands. And to make it even more attractive, we’re giving someone the chance to win a trip for two adults to New Zealand for nine nights with transfers included.” said Mr. Mesnick. 10 night air & land inclusive vacation from $1839 - Experience the ambiance of three classic cities all on one vacation. 12 night land only deluxe package to New Zealand's Top 10 from $4789 - Discover the most magical regions of New Zealand - learn about their heritage & culture, and experience nature at its purest! 13 night air & land inclusive vacation from $4839 – A wonderful and eventful tour, discovering the most magical regions of New Zealand. The contrasts within New Zealand are remarkable. Explore and learn about the history and heritage, flora and fauna. Experience the world famous rail journeys of the Coastal Pacific, TranzAlpine and Taieri Gorge trains. 10 night air & land inclusive vacation from $7449 - Enjoy a romantic escape to New Zealand, staying at some of the most stunning lodges located in convenient locations so you don’t miss out on the sights! 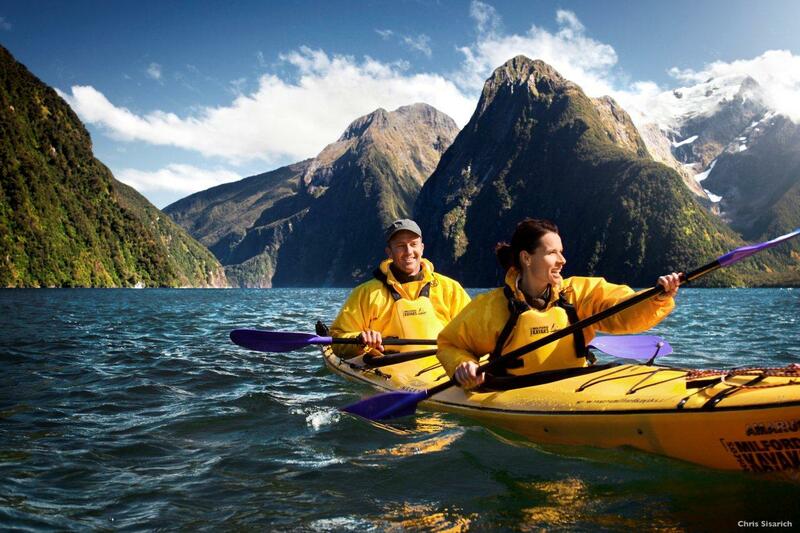 To book a New Zealand vacation with Down Under Answers call toll-free (866) 792-5458 or visit http://www.duatravel.com. Down Under Answers, which will celebrate its 20th anniversary in 2012, is the recognized industry leader in vacation packages to Australia, New Zealand, Fiji, Tahiti and the Cook Islands,. The Bellevue, Washington-based tour operator offers a wide variety of travel package options ranging from escorted tours to self-drive vacations, adventure travel, island escapes, groups and special interest travel, as well as customized independent arrangements. The company has repeatedly been voted the “Best Travel Wholesaler” by Tourism Australia’s Aussie Specialists and Tourism New Zealand’s Kiwi Specialists as well as “Best Travel Wholesaler” by Australian Supplier Partners.